Louisa Samantha Watkins, daughter of Jehiel Gregory Watkins and Frances Monger Keenan, was born Mar. 25, 1867 near McComb, McDonough Co., Illinois and died Feb. 25, 1958 in Conway, Taylor Co., Iowa. 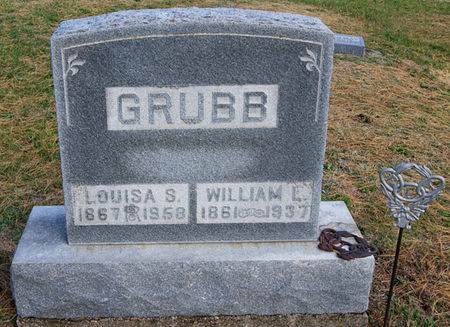 She married William Larkin Grubb Feb. 16, 1890 in Taylor Co., Iowa. He was born Feb. 16, 1861 near Winfield, Louisa Co., Iowa, son of Colvin Grubb and Emily Lewis, and died Jan. 14, 1937 near Conway, Taylor Co., Iowa. WATKINS GRUBB, Louisa Samantha "Manta"
Searching for LOUISA SAMANTHA "MANTA" GRUBB in Taylor County Iowa?